As reported before, #Athletics will kick in more than $10 million for new HD scoreboards and ribbon boards between 1st and 2nd decks. Ever since becoming an A’s fan as a kid, the scoreboard has always been pretty subpar. In fact, as more teams started installing HD screens, the A’s continued to use their low-budget, out of date screens. It is so commonly associated with the place, they even made a shirt of the scoreboard (with some bulbs out). But now with this news, along with the approved 10-year lease, I’m really excited to see what this will look like. 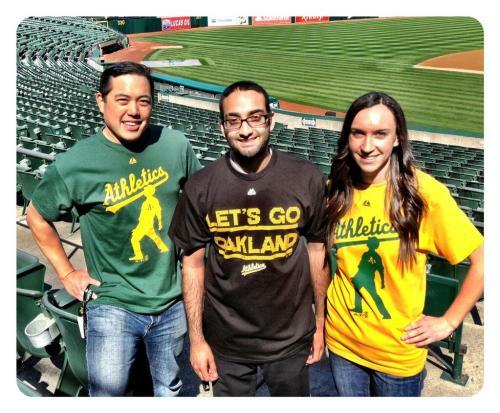 I still want the team to get a new stadium but for now, this will hold the team here in Oakland and at least possibly keep them in the discussion. 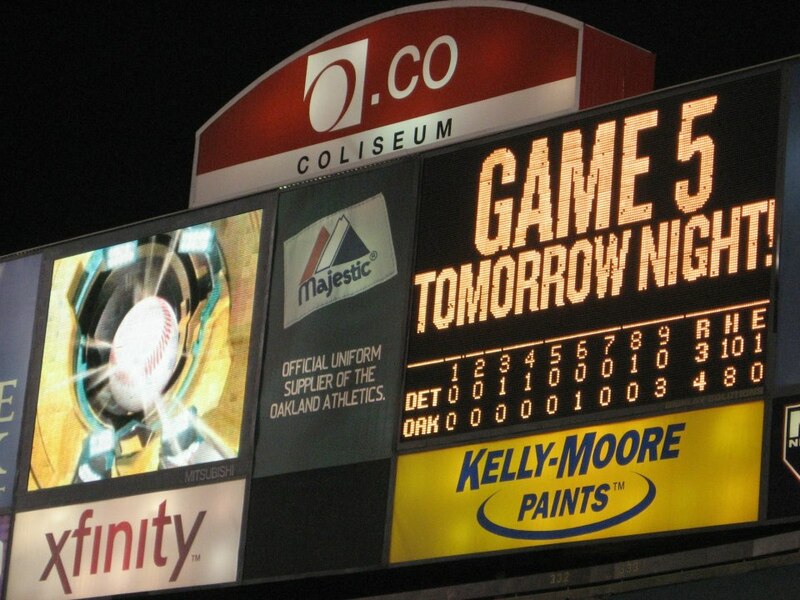 The current Oakland Athletics scoreboard. I don’t mind the out of date scoreboard but it is nice to know that at least one aspect of the experience at the game will be nice. I wonder how this will look. We’ll see whenever it’s installed. This entry was posted in MLB, Oakland Athletics and tagged O.co Coliseum, Scoreboard. Bookmark the permalink.